The Cross Challenge series of high profile races came to Liverpool`s Sefton Park and provided local athletes an opportunity to test themselves against some of the best in the country. 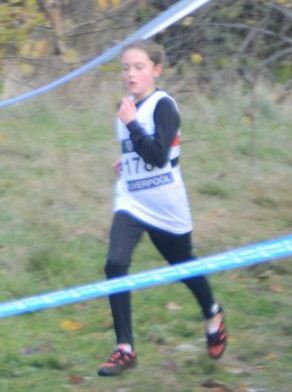 In ideal conditions Liverpool Pembroke Sefton star Toby Loveridge quickly established himself among the leading pack in the Senior race which incorporated the European trials. His hopes for an Under 23 selection were alive for a couple of laps but the furious pace took its toll and he slipped back to 40th in a huge field. The first local athlete home provided some measure of comfort though. Meanwhile his LPS team mates were shooting for a decent placing in the Liverpool and District League and packed the remainder of the squad in the first 200 home. They were Sean Kirkbride(145), Ryan Blackwell(154), Stuart Haw(167), Kyle Nicholls(182) and the amazing super-vet Sammy Rashid closing on 197.There was plenty of useful back-up in the shape of James Lake(219), Rob Parkinson(246), Greg Callaghan(257), Danny Gilbody(281), Chris Pedder(332), David Reece(377), Paul Cotterill(426) and John Dobie(446). The club finished third in the league but retained their overall second placing. The Senior Women were inevitably led by Kirsty Longley(47) with Sam Wade (88), Vicki Jones(117) and Donna Hoban(162). All eyes though were on the Under 17 Women where international Rosie Johnson was making an appearance after a long lay off. She characteristically made a cautious start and eventually worked her way through to 10th. Those in front will look at this result and not be fooled. They know that the English Schools 1500m champion will be seriously challenging for major honours as the winter progresses. At U15 Charlotte Mawdsley(64) and Jess Gonzalez-Green(79) competed as did the promising Francesca Price(50) at U13 accompanied by Alex Barnsley(72), Holly Rylance(73), Megan Barnsley(74), Holly Miller(82), Katie Richardson(88) and Maddie Firth-Cook(90). 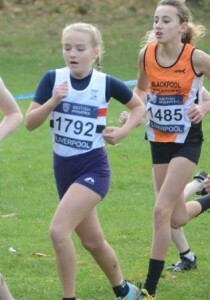 There were only a couple of LPS aspirants at U11, Isobel Fearon(25) and Imogen Fearon(47). The big surprise turned up in the U13 Boys race. Making only his first appearance for the club and surrounded by talent from all over England and Scotland Kyle Robinson-Murray ran a very cool race to finish 17th and leader in the incorporated Mid-Lancs League race. We will hear more about him. Ross Harrison(66), Tom Dickinson (78) and Joe Cotterill(108) also competed. At U15 Daniel Slater will be encouraged by a 24th spot and a team result is awaited for Matt Richardson(62), Jack Crook(79), Joe Marshall(131) and Max Cotterill(134). The U17`s involved were Jonathan Bride(70), Ben Singleton(76), Chris Webber(88) and Joe Chadderton(104). Finally the Junior Men had Warren Turner(63) and James Loftus(74) learning what life is like in the fast lane and benefitting from the experience. They are a talented pair and will progress.